Born in Brooklyn in 1958, composer and guitarist Sandy Prager has been playing guitar since the age of 12. He is a seventh-generation musician which includes his father, jazz trombonist Bert Prager, who was also his first teacher. In addition, his grandmother was a klezmer singer of note. Add growing up in Latin-flavored Miami and you have a good idea of the rich varieties of musics which go into Prager's compositional melting pot. While in Miami, he studied at the University of Miami and with jazz giant Ira Sullivan, eventually landing in Boston to study at the Berklee College of Music. In addition to performing his own works, Prager has written for television. 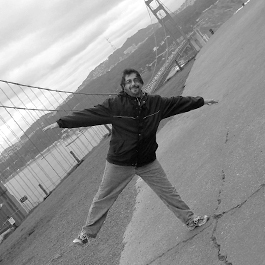 He is well known in the Boston area for his teaching approach, which is as unique as his performing style. When not playing, Sandy can be seen training for a marathon or conveying his angle on life through the art form of punning, though thankfully not both at the same time. The art form of jazz improvisation is, at its best, an adventure in empathy. In this recording, you’ll find three musicians who listen to one another, are willing to take chances, and truly enjoy each other’s musical company. In the almost 10 years we’ve played together, we’ve come to trust and listen to each other with open ears and an open heart. I think this recording shows that. All is the way it went down in the studio. Are there mistakes? Yes, you might hear a few, but more importantly, you hear expressiveness, playfulness, and most importantly, interplay. Sandy Prager leads a trio featuring Jerry Leake (percussion) and John Lockwood (bass) in Seattle Joe's, an all-original program of a dozen tunes. There's a refreshing vigor about this music, notably because Prager plays acoustic guitar in a compelling fusion mode. The band's most impressive in "The Eggman" and the cool groove of the atmospheric "Parrot Jungle," while the funky variations of "Seattle Joe's," "Bossa Child," and the dynamic ballad "Six More" showcase Prager's strengths as a solo player. Recommended. Imagine hearing Ralph Towner and Paul McCandless dueting without the rest of Oregon. That's a way to begin to describe this Boston-based duo. There are folk, jazz, klezmer and western classical elements to be heard as well as lots of improvised surprises. 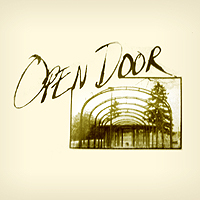 Prager plays classical and 12-string guitars and wrote the tunes. As a player, he is deft and creative, with a strong classical bent; his compositions flow beautifully. Chenevert plays clarinet with a fluid, agile grace and improvises like a master. Throughout, the duo seem determined to bring as much lyricism as possible to the music, and they're successful - the melodies flow like a river, with composition and improv meeting so seamlessly that in many places they are indistinguishable. Prager adn Chenevert have a long history together, and their palpable rapport shows it. A lot of recent improvised or semi-improv music seems off-putting, as though the listener doesn't matter. Not the case here. I find myself enjoying what I hear and appreciating the artistry in equal measures. 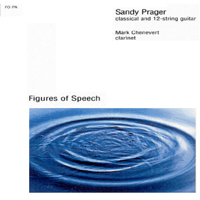 This all-instrumental guitar-led recording is the brilliant compositional crafting of Sandy Prager. Some albums such as this can run the risk of inducing boredom — not Is As As Is. Sandy makes sure there are some interesting musical twists thrown into each song. The album is a conglomerate of innovative pieces that run from simple 12-string acoustic numbers, to ethnic-sounding guitar pieces, to jass tunes, to a style that cannot be defined. He incorporates — with the help of marvelous rhythm-makers Frank Molina and Tony Sumbury on bass — jazz-based riffs with intricate acoustic guitar U-turns. The songs at times mesmerized me and led my mind to wander, while others built and built to such a passionate musical peak that I couldn't help but stop and let it be consuming. "Aldebron" particularly grabbed me, and "Consciousness Takes a Vacation," "Bossa Chile" and "Through the Looking Glass" were captivating. Nice fresh change from the ordinary. I found this recording beautiful.
" ...sophisticated rhythmic stop-and-start tempos in Prager's fretwork." — The Noise " ...a conglomerate of innovative pieces that run from simple 12-string acoustic numbers, to ethnic-sounding guitar pieces, to jazz tunes, to a style that cannot be defined." 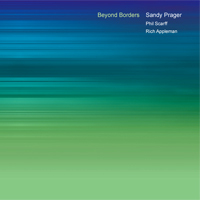 Sandy Prager's "Beyond Borders" features some of the most brilliantly conceived classical and 12-string jazz guitar playing heard in recent years. The prodigious guitarist has studied at both the University of Miami and the Berklee College of Music and is currently teaching, composing, and performing in the Boston area. While often compared to the iconoclastic artist Ralph Towner, Prager's influences are as diverse and multifaceted as the rich acoustic improvisations he creates. The strength of this album, however, revolves not only around the guitarist's formidable command of his instrument, but also in the two exceptional musicians that support him. The recording features Phil Scarff on alto and soprano saxophones and Rich Appleman on upright bass. Think of Oregon without the percussion, where the intimate trio setting creates a delicate and empathetic interplay between the musicians that brings to mind the classic recordings of the Jimmy Giuffre Three featuring Jim Hall. While the emphasis of this album is on jazz improvisation, the release features twelve captivating compositions that always remain interesting upon each repeated listening. There simply is not a weak link on this eclectic collection of innovative sonic tapestries. On the playful calypso, "Bay Street," the group begins with unison melodic phrases followed by intricate soloing by each musician. The ballad, "The Way Home," features Appleman's wonderful bass tones where his melodic accompaniment is equally as interesting as his passionate soloing. Another standout is "Baile De Los Muertos," where the Prager unleashes some dazzling 12-string work reminiscent of the great Brazilian guitarist Egberto Gismonti. On "Blues for Indira" Phil Scarff offers some haunting Middle Eastern melodies. "Beyond Borders" pushes the parameters of contemporary improvised music and is highly recommended for those wanting to hear alluring compositions accompanied by adventurous playing. Even for an acoustic guitarist working in the improvisational realm, Boston fretman Sandy Prager has always set up some steep challenges for himself. His duets on classical and 12-string guitar with clarinet Mark Chenevert were candid conversations that treated the awkward pairing (at least on its surface) as one of the most organic combinations of reeds and strings since Charlie Byrd met Stan Getz. Prager's newest album is part solo, part trio selections (with bassist John Lockwood and drummer Jerry Leake) that take the acoustic instruments into open-ended works, usingn all of the familiar tonalities (classical, folk and flamenco) in exciting new combinations. So, while he opening, "The Eggman" has a cumbersome baroque theme at its root, with Prager climbing complicated all over the fretboard, Lockwood and Leake lock into a pastel groove that gives the tune a muted swing. It's only a matter of a few bars before all three fall into a comfortable exchange, with Prager lightly strumming his strings, fanning the frets and pulling an interesting counter melody into the conversation. Likewise, the solo material here bounces from one element to the next, like the hopscotch boogie of the title track, where Prager repeats the funky lead line on his 12-string between dazzling shifts of Leo Kottke-like fingerpicking and John Fahey-inspired chord clusters. While clever enough to incorporate several different modes at once, Prager is especially adept at making sure the fusions make sense — taking what sounds like difficult, spellbinding, classical technique (like during "Six More"), and opening it up to atmospheric pauses and improvisational asides. 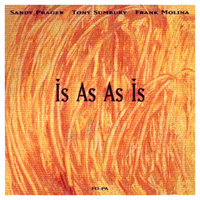 While the volume may be a lot lower than most jazz settings (maybe even a whole step softer than the Modern Jazz Quartet), the intensity and exchanges between Prager and bandmates (especially during "Parrot Jungle") are almost nuclear. Jazz guitar fans who enjoy similar acoustic work by Ralph Towner or Egberto Gismonti should check out Prager's other titles in this vastly underappreciated genre. The comparisons to Ralph Towner's music are inevitable and obvious... I consider that a good thing. 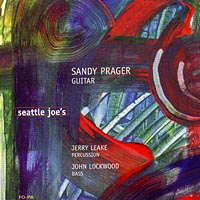 On "Seattle Joe's", Sandy Prager does not merely imitate Towner, he asserts his own voice and compositional skill in a manner that honors the influence of the famed writer and guitarist for Oregon. In his choice of the nylon and 12-string guitars, his penchant for the solo format, but also in his phrasing and chord resolutions he has successfully crafted a Towneresque style that not only stands alone but breathes an infectious passion. Although on cuts such as "The Eggman" and "Dinner at Eight" he exhibits virtuosity in playing jazz, his more simple solo compositions such as "Shine Every Day", "Moroccan Sundance", "Cat and Mouse" and "Six More" reveal a restrained intensity which lingers with the listener. Percussionist Jerry Leake and bassist John Lockwood complement Prager on the five trio tracks, including some very nice tabla by Leake on "The Chase". Very highly recommended. This CD is the latest studio release from Bostonian Sandy Prager, a gifted jazz guitarist and all-around top-notch artist. His fourth CD, Prager's music demonstrates a number of diverse influences but stays true to his roots — jazz-based acoustic improvisations. Several of the instrumentals, such as "The Mod Squad" and "Moroccan Sundance," are intense and rhythmically exciting as Prager's melodies fluidly eminate from his acoustic guitar. Prager is a formidable player as anyone's standard, yet the twelve songs on Seattle Joe's are not intended as music for musicians. Rather, he has found a way to create challenging compositions which can be appreciated by a wide variety of music fans. All in all, a wonderful recording. 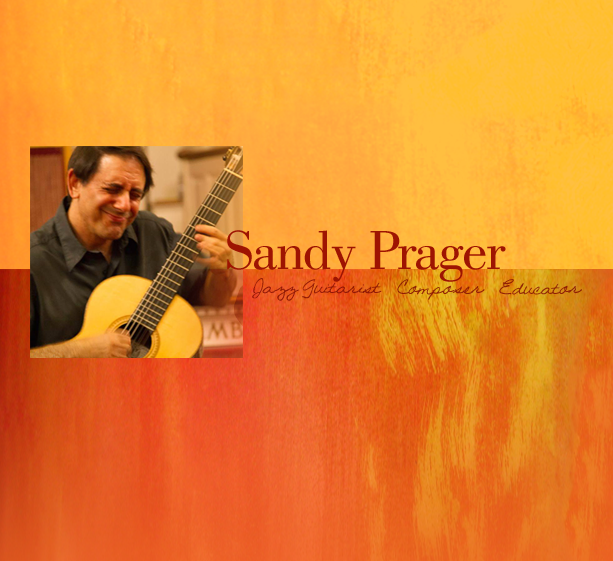 This all-instrumental guitar-led recording is the brilliant compositional crafting of Sandy Prager. Some albums such as this can run the risk of inducing boredom — not Is As As Is. Sandy makes sure there are some interesting musical twists thrown into each song. The album is a conglomerate of innovative pieces that run from simple 12-string acoustic numbers, to ethnic-sounding guitar pieces, to jazz tunes, to a style that cannot be defined. He incorporates — with the help of marvelous rhythm-makers Frank Molina and Tony Sumbury on bass — jazz-based riffs with intricate acoustic guitar U-turns. The songs at times mesmerized me and led my mind to wander, while others built and built to such a passionate musical peak that I couldn't help but stop and let it be consuming. "Aldebron" particularly grabbed me, and "Consciousness Takes a Vacation," "Bossa Chile" and "Through the Looking Glass" were captivating. Nice fresh change from the ordinary. I found this recording beautiful.